Despite last year’s exploit into the most successful, epic space opera film franchise of all time, Adam Driver remains a wonderful focal point within the independent film industry. 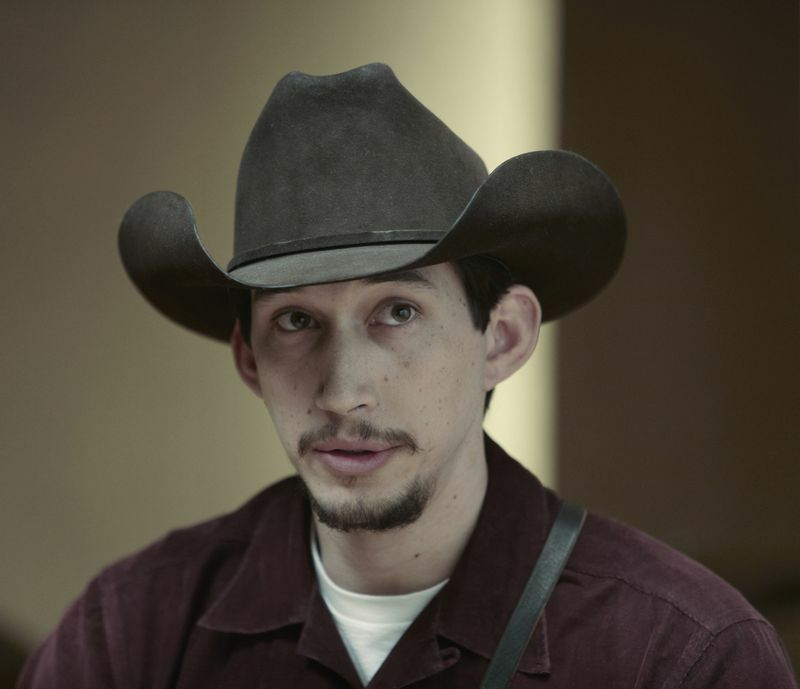 Rising to prominence as Adam Sackler in Lena Dunham’s HBO show Girls, for which he received three consecutive nominations for the Primetime Emmy Award for Outstanding Supporting Actor in a Comedy Series, Driver’s stock has done nothing but rise, scoring roles in Scorsese’s epic-scale drama Silence, sci-fi winner Midnight Special and this year’s Star Wars: The Last Jedi. Despite these Hollywood blockbusters, Driver remains heavily entrenched in the indie genre, delivering scene-stealing performances in now already-classic indie dramas Frances Ha, While We’re Young and Inside Llewyn Davies. Adam Driver is a bus driver named Paterson who lives in the town of Paterson, New Jersey in this new drama from renowned American indie auteur Jim Jarmusch. Golshifteh Farahani is Laura, a freelance artist, baker and homemaker. They live together in a small house with their bulldog Marvin. Married life has its rhythms and routines, with Paterson’s days taken up crisscrossing the city, overhearing snippets of passengers’ conversations, while evenings find him enjoying a post-dinner walk with his dog and a trip to the neighbourhood bar. Throughout, Paterson mulls over words, observing fragments of life and constructing verse for a series of poems he writes in a notebook in this tender, provocative portrait. Driver hits a career high as our quiet everyman with a military past whose journeys are both physical and existential. Paterson is constantly attuned to the extraordinary and poetic, even in the smallest of gestures, offering a charming depiction of how lovers can co-exist and support each other’s creativity. The poems, by real-life poet Ron Padgett, are damn fine too. Mia Wasikowska stars in this inspirational true story about one woman’s extraordinary odyssey through the Australian Outback. Driven by untamed ambition but short of money, Robyn Davidson reluctantly agrees to have her solo 2.7km trek through the wilderness documented by National Geographic photographer Rick Smolan (Driver), with whom she begins a peripatetic relationship. Driver plays the smitten photographer with gawky sweetness, crossing Davidson’s dogged path at regular intervals to document her journey and provide occasional TLC on demand. The resulting magazine articles would become the basis for John Curran’s mesmerising film, a gloriously photographed paean to both one woman’s courage and to the magnificent land she traverses. Tracks received its UK premiere at the 2013 BFI London Film Festival. Greta Gerwig shines as Sophie, the scatty late-twentysomething trying to get her life and career in order, in Noah Baumbach’s breezy urban comedy, Frances Ha. With its nods to the French New Wave and references to films such as Manhattan and Mauvais Sang, Baumbach has crafted a film with a romantic and nostalgic atmosphere, but with a thoroughly modern sensibility at the same time. Driver stars as Lev, a slightly preposterous artist with weird, unreadable mannerisms, a flatmate of Sophie. Driver fits seamlessly into Baumbach’s quirky, individual world, but it is without doubt Gerwig who steals the show. The Coen brothers’ funny, wistful elegy to early 1960s folk music stars Oscar Isaac as a songwriter struggling through a cold and calamitous winter. Shambolic and self-absorbed, Llewyn (Isaac) is a penniless musician on the fringes of the emerging folk scene, reduced to the occasional Greenwich Village gig and roughing it on the couches of barely sympathetic friends. Things go from hapless to hopeless when Llewyn loses a kindly couple’s beloved marmalade cat and discovers that his fling with married songstress Jean (Carey Mulligan) has resulted in a very unwanted pregnancy. Driver plays Al Cody, who forms part of Llewyn’s band, holding his own amongst a splendid cast including John Goodman, Garrett Hedlund and Justin Timberlake. Punctuated throughout with terrifically memorable characters, Inside Llewyn Davis riffs on the traditional biopic, creating a fictional reality that is nevertheless entirely honest in its portrayal of creative vulnerability and hubris, and that is heartfelt in its love for the era and its sounds. Paterson, and these other titles, are available now on the BFI Player. 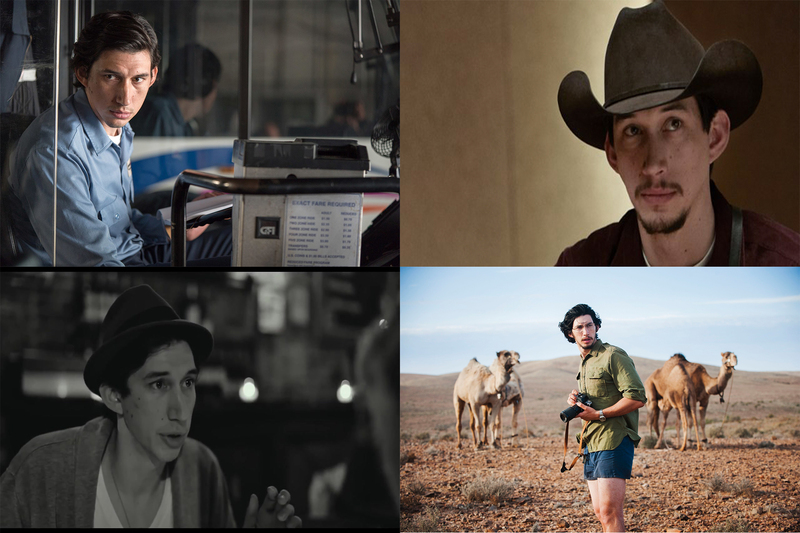 Tags: Adam Driver, BFI, BFI Player, Coen Brothers, Ethan Coen, Frances Ha, Greta Gerwig, Inside Llewyn Davies, Joel Coen, John Curran, Noah Baumbach, Paterson, Ron Padgett, Tracks, While We’re Young. Bookmark the permalink.